I don’t read a ton of books these days but I do go through phases where I’ll read intensely for a few months and then take a break. I’ve always enjoyed reading and I feel like reading is the best preparation you can do for reading comprehension and standardized tests. Reading a lot has also seemed to help with my writing style. And now that I have more time on my hands, I’ve been reading all sorts of material for personal enjoyment and to improve my writing skills. About a year and a half ago, someone gave me a Kindle for my birthday and at first I was pretty hesitant to start using it. But after a while, I really enjoyed the look and feel of it and I read it almost exclusively. The great thing about the Kindle is that it’s nothing like reading off a computer screen. I absolutely hate reading large amounts of text on computer screens and I’ll usually print anything over 5-10 pages(not very green of me I know). But when I’m reading on the Kindle I don’t have any problems. It’s just like reading a paperback book and I can read for hours without my eyes getting tired. Since I’m pretty cheap, I’ve always been a huge fan of the library. I rarely buy books and I think it’s a complete waste of money since 99% of people won’t read a book twice. I have about 15 books that I own sitting on my shelf with no plans to ever read them again. So when I first got my Kindle, I was a little worried about the prospect of renting e-books, how the hell would that work? 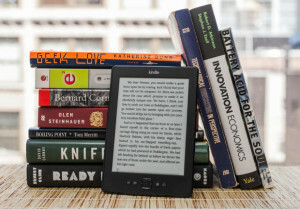 But as the popularity of e-readers has increased, most libraries now offer some type of e-book library where you can browse available titles and put holds on certain books just like with a regular library. The only problem with these e-libraries though is that the selection is somewhat limited and there are often large waiting lists for the popular books. Now that I’m addicted to my Kindle, there’s no way I’m going to pay for an e-book that can’t be legally shared with a friend once I’m done with it. Instead, I’ve devised a system which lets me get almost all the books I want but requires a little bit of planning and cunning. The first part of the plan involves signing up with multiple library services since each branch’s online selection will be independent of each other. I still have my Los Angeles Public Library and Santa Monica Public Library accounts from when I was a kid in addition to my current San Diego Library Card. And now that I’m a Newport Beach resident, I get to tap into one more library system! So that’s a total of four library systems that I currently have access to. And although there’s some overlap, the cool thing is that the waiting list might be a lot shorter with one branch over another. If the title is available at more than one of the library’s, I’ll set up multiple holds so that wherever it’s available first I’ll get access to it. The second problem I ran into with Kindle library books was the fact that the titles expired in 2 weeks. I can usually polish off a book in 2 weeks but when you have multiple holds, sometimes you get two or three books all at once. Right now, I have four books on my Kindle and they’re all due within 2-3 weeks. Since all the books are rented through Amazon Kindle library, once the expiration date comes up the book will be automatically deleted from your device unless your Kindle doesn’t have access to the internet. So once I have all the titles I want, I switch the Kindle’s wi-fi off so that it can’t connect to the internet. Once the book is due, it will be deleted from your Amazon Lending account online but it will remain on your device until you turn wi-fi back on and it syncs up with your account. I can already hear the morality police calling and while technically you may be doing something wrong, once the book expires it will be released to the next person in queue so you aren’t preventing someone else from reading it. 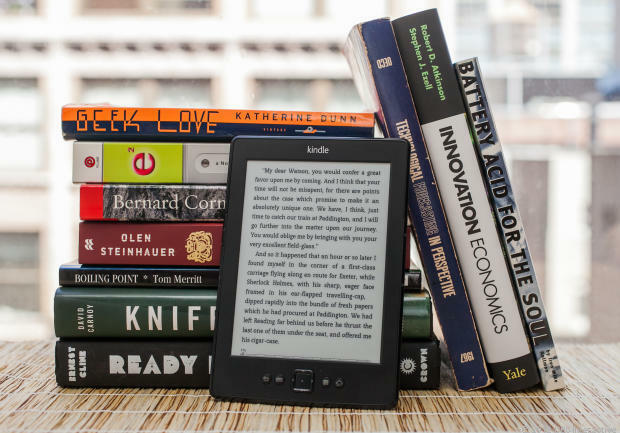 Readers, do you own a Kindle or another e-reader? Have you ever though about renting an e-book or is it too much of a hassle for you? Doesn’t it bug you that you can’t legally transfer e-books once you’ve purchased them and finished reading them? Thanks for the info, I did not know that! BTW, Los Angeles Public Library will let you check books for 3 weeks. Oh really, cool I did not know that. I have a book on hold with them right now so I’ll check that out once it’s ready, thanks! That is a really handy tip. Thanks a bunch. This is so true. In college, I got most of my textbooks from the library. It was great! Thanks for the info. Been thinking about getting a Kindle. I’ve been a library fan for many years and live in the SF Bay Area. I’ve got library cards from Sonoma County, Marin County, Berkeley Public Library and Solano/Napa (SNAP) Library. The only requirement to get a card is that you’re a California resident. So, if you’re ever up north, sign up for a few more library cards while you’re here! No problem Michael. It’s a great buy in my opinion and as of today you can use them during take off and landing when flying. I’m in library heaven right now but I could probably add a few more next time I’m up North. I currently have access to LA, Orange County, Santa Monica, Newport Beach and San Diego haha! I still rent paperback books from my local library and I also queue up 5-6 digital books and load them onto my kindle then turn off the wi-fi, works like a charm. And best of all other people still get to use them since I immediately return them once I turn off the wi-fi! You know you can renew books, right? You can’t if someone else has a hold on them.